Our La Stanza Room is spacious enough to seat 200 people, has a wonderful view from the balcony, a fully stocked top shelf bar, hardwood dance floor, world class audio and visual equipment, and many other amenities to compliment your event. 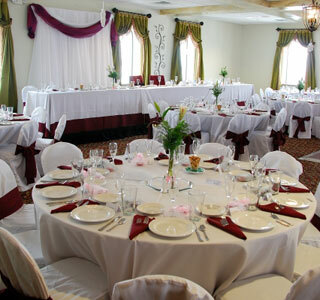 This room is perfect for any occasion from weddings to corporate meetings to family affairs. Our Paisano Room seats 75 guests, has a sound system for music, bar options available, as well as a variety of other amenities to meet your parties desires. This room has a cozy atmosphere that is perfect for any small gathering such as: rehearsal dinners, anniversaries, and baby showers. 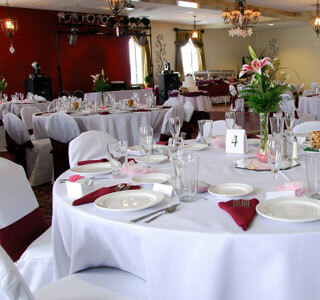 Our beautiful banquet facilities can accommodate numerous events, whether it is your wedding, class reunion, corporate meetings, fundraisers, or other family gatherings or holiday parties. For more information on planning your special event or meeting please contact our Events manager at 815-568-2500 or banquets@joesplacemarengo.com.